"Matured CMS to manage Big websites"
Umbraco has many things that make it a good open-source CMS. 5. Content management is too easy and user-friendly. Even a non-technical person can handle it with utmost ease. 6. Quite easy to add plugins. 8. Can seamlessly manage tons of web pages. I am already having 1000+ on my website that we manage by Umbraco. Getting started with Umbraco is difficult because of the incomplete/inappropriate documentation. Another issue is about managing workflows, but this would matter only if you are implementing Umbraco on a larger scale. Also, any goof-ups in initial setup will make the life difficult in the later stages. It is advisable to take help of technical expert while you are setting up Umbraco. If you are looking for a content management system, Umbraco is the right choice. Make sure you have an expert while you setup it for the first time. Else, very satisfied with the maturity and quality of Umbraco CMS. We utilize Umbraco to manage our corporate website and other product websites. We have a 1000+ page website with loads of content on it. Umbraco provides a well-structured framework for us to manage our content. The easy to understand dashboard allows our non-technical marketing team to manage content effortlessly. The personalization features also help us to serve the global audience. "CMS that makes it easy to create a custom/bespoke web site"
Umbraco stays out of my way and gives me all the tools I need to work fast and build the site exactly to spec without fighting with the CMS. It's a blank slate for design so you could pull in a pre-made template or build your design from scratch which I like. It can be a bit tricky for new developers to learn, but there are training videos and training classes that you can take. Try it out on Umbraco Cloud. That's the easiest way to get setup. Also, take a look at Our.Umbraco.org and see the community. Twitter is another great place to learn and chat about Umbraco. We use it for lead generation, selling online, and general marketing. We have also used it for document management, intranets, and even to manage content for mobile apps. 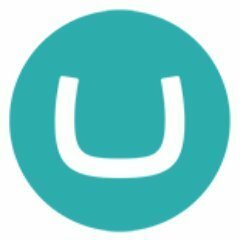 Umbraco advertises that Umbraco is not in your way when you develop the UI. Thats ONLY true for the front-end and thats very nice for developers :-) So you can develop a front end how you want it to be. In our case a Bootstrap HTML5 front end. The tree stucture for content is also nice because thats they way we use our content too. The backend is not easily extendible. The documentation is NOT free. If you want to have good documentation there is no other way to get a service contract for Umbraco. Umbraco is MVC but TDD is not good possible. If you are planning to use Umbraco you will need a developer to implement. We had a Website where content had to be edited. It had to be mobile-first. Umbraco seems to be a good solution for it. "Umbraco - power and flexibility"
It allows me to achieve my lead-gen goals. Umbraco has the power to allow me to build site sections at will. To optimize all of the elements within those sections and to reuse elements. I describe our current grid implementation as a set of legos. I can build pages, and if I want to reuse elements on another page, I do so with the blocks. The ways to use Umbraco is limitless. There is nothing inherent to Umbraco that I do not like. There are sometimes tweaks that we request to be made within our configuration because a use case or business need changed. Those are handled and we able to proceed with the additional functionality. Work with a certified partner on implementation. We selected Scandia for both implementations because of their expertise and their work in financial services. Both NASB and BBMC can self-maintain their sites, but that's because of the work done right during implementation. I am solving for the need to support high-velocity online lead generation campaigns with technology that is flexible and can change as i need it to change. "A great CMS on top of the very powerful ASP.Net MVC stack." As a C# developer my favorite feature is that Umbraco lays so cleanly on top of the ASP.Net MVC stack. That has left us free to route hijack and customize some heavier pieces while leaving the majority of the site in the capable hands of a fairly simple CMS. Pushing changes between multiple environments is difficult. It requires an inexpensive add-on product named Courier that is buggy. They are working hard on it though. I suspect that this problem will finally be resolved with v8.0.0 and its goal of "GUID all the things". If you start with Umbraco as a Service you're less likely to run into this problem because its using an internal v2 of the Courier product codenamed Deploy. Give Umbraco as a Service a try first. It'll get you up and running fast and it has the best content deploy story so far. If you need to upgrade beyond that talk to one of their Gold partners. Look into Nested Content and Grid Editors right away. If the last time you evaluated Umbraco was before 7.4 you really should give it a fresh look. Their investment in the Angular JS powered back office upgrade and grid editors is really starting to pay out. CMS for corporate website and internal website. We've been able to add some intense customizations like SAML integration and various API integrations (Marketo, Salesforce, Redis) all from the comfort of C#. The easy of use in being able to administer our websites, we use the tool for both our own and customers websites. It provides a really nice simple tool to keep our site up to date with the latest content. Very easy tool to use, great for looking down templates and allowing staff members to update certain parts of your website, If you can use word then you can use this tool. Keeping our website upto date, also the marketing team to publish new content without waiting for the development team to make changes, keeps the cost down for us, if the key staff members can update themselves. "One of the easiest multi site management CMS"
It's very easy to use from back end while managing multiple sites at a time. Umbraco has a really good User interface and rich UI/UX. Navigation is really simple. Sometimes it takes time to updates made on back end site. But this is not a very critical issue. If you're planning or currently dealing with Multi-Site Content management issue. Umbraco could be the right way to start. The company has multiple product and services and each of them has different web pages or website and Umbraco is a really powerful tool that makes it really easy to manage and update the website on regular basis with no major conflicts. "Above average content management system"
Overall umbraco has many good features , but from many i like the automation tool api functionality the most. By this we can easily use our marketo forms with umbraco's landing pages. Apart from this it's really easy to create similar pages with different content by cloning them. It's searching criteria is something which needs to improve as I have to always assets manually within nodes. We have more than 17 websites within EMEA region which we able to put atone place. We found it an easy tool to create new website/pages for us. "Easy to use, flexible, powerful, and affordable CMS platform." Ease of use - it is very intuitive compared to other CMS platforms and the Umbraco community/forums are extremely helpful. There is nothing that I dislike within the product itself. We were running on a "homemade" CMS for 10+ years. We upgraded to Umbraco and the ease of use and intuitiveness is outstanding. I have admin-ed Sitecore installations and Umbraco is not as powerful; however, it can still get most everything done while being WAY more simple to use. "Using Umbraco as client website cms"
If you have the latest version with a capable developer, it can be a good cms for a site with a lot of product pages. Not nearly as easy to use as Wordpress or Craft. Updates can cause sites to go down. Not the most secure cms option available. Clients often have trouble doing their own content updates or adding new pages. Make sure you have a good ASP.NET developer on hand. Making changes to the Umbraco site can be a nightmare if you're not familiar with it. It is a good option to have ASP.NET cms instead of just PHP based ones depending on your client base. Our industrial manufacturing clients still have most of there sites on cms platforms like Umbraco. "Umbraco is a great WYSIWYG Tool"
I love that web ages are easy to create and update. The widgets are clean and attractive to use and edit. I dislike how many folders i sometimes need to make something happen or store materials, but that's really an organization aspect on my end. It's very easy to use once you get it set up. Umbraco is helping us get more updates about the products we sell into the hands of our customers faster. We're able to react to real-time news and updates that affects our client base, which is something we couldn't do as well before. The general page updates can be made quickly and easy enough, and drag/drop folder layouts are fairly simple. Can be quite clunky, but changes can be made quickly. Figure out the nuances of Umbraco. I like that we can host multiple clients on Umbraco. As someone who was newer to the developer world it took me longer to get used to Umbraco. It's also more difficult for clients to grasp an understanding of it. Be wary of customization & plugins on your site. We are having problems with clients using it for minor updates & with our ability to update clients' back-end without affecting other clients. "A powerful CMS for those wanting greater personalisation than WordPress "
Usability. Customisation. Multi-site management and deployment. Work with a trusted third party for implementation and development. Building micro sites, content gating, enabling subscriptions, hosting blogs. Rapidly designing and deploying sites for marketing campaigns. "Terrible platform, looking increasing dated "
Easy of initial template build implementation, good management for multi-lingual and large websites. Lack of developer support and very small community. Despite what you may hear the community is tiny, and overall support is lacking. Documentation and forums are fairly useless . Not like other CMSs for which you can solve common problems through plugins or by going to places like stackoverflow. Do not go for this as the software seems on it way out. Pick something with a broader install base and more easily available support. Managing a large multi-lingual website. You can customize and change your website instantly. I do not like the times that it updates. Use this platform! It is easy to customize and use at the same time. We are now able to let many users change the website at the same time. Our old website platform was hard to use and would take hours to update. This program has saved us time and training. Simple, easy to use CMS that works within Microsoft environments. It's fairly well supported by the C# community. Good selection of third party plugins and really simple back office for non technical users once it's configured. Configuration is sometimes a pain, even with first-party plugins (Umbraco Courier, Umbraco Forms). Lack of built-in SEO best practices. Evaluate any necessary third party plugins and the support for them. It may hold you back if they have been abandoned by the author and do not work with newer versions. "Can be quite clunky, but changes can be made quickly." The best part of Umbraco is that general page updates can be made quickly and easy enough, and drag/drop folder layouts are fairly simple. Admittedly I was using version 4.0 in 2014, but there were no options for Alt Text in images etc. As I said, probably that I was using an older version. Easy enough to run a website from, saves having to get I.T to do every job. "Ok platform in a sea of competition"
Not as widely adapted as other platforms therefor less support/addons etc. Ease of creation for landing pages and editing website content. I wish there were more standard templates for creating landing pages. Graphics and text can appear clunky. Customizability. Everything in Umbraco allows you to do pretty much whatever you want. Updates. We are stuck on an older version. Umbraco is not too complicated and easy to train others on. It solves the need of replacing a completely coded website, making it easier to upload without the length it takes to type code each time. "Open source CMS that's flexible when upgraded"
Umbraco was an inherited CMS at our company and proved to be a good solution albeit a little unflexible due to an outdated version. Integrating forms and specific tags (iframe, etc) was very problematic. Editing templates was a little too much effort for our technical experience. Make sure you have an in-house developer to support this. I have no doubt Umbraco can be a strong solution if you keep it up. * We monitor all Umbraco reviews to prevent fraudulent reviews and keep review quality high. We do not post reviews by company employees or direct competitors. Validated reviews require the user to submit a screenshot of the product containing their user ID, in order to verify a user is an actual user of the product. Hi there! Are you looking to implement a solution like Umbraco?